Event will examine Trollope’s international-themed work, and the many novels he wrote while travelling. To remember Trollope as a global citizen, the Trollope Society has commissioned a new illustration of him, by Jethro Syder-Spence. 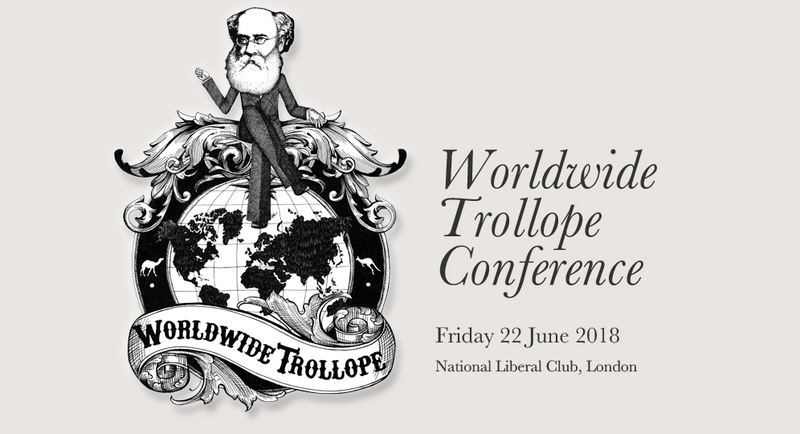 Next month, the Trollope Society hosts its first ever Worldwide Trollope conference, at the prestigious National Liberal Club in London on 22 June 2018. The event will explore how Trollope’s travels influenced his work, with speakers including Howard Gregg, Professor David Skilton, and Professor Haruno Watanbe. Delegates will be able to attend ‘digitally’ from all over the world, with guests already registered to attend from as far as Australia and South Africa. While Anthony Trollope is known for his portrayals of county squires, pugnacious clergymen and aristocratic politicians, the Victorian author was also one of the most travelled of the nineteenth century novelists. He published two volumes of international short stories in ‘Tales of All Countries’, including ‘An Unprotected Female at the Pyramids’ and ‘John Bull on the Guadalquivir’. Together his novels, short stories and travelogues paint an extraordinary picture of the Victorian world. Trollope’s wry observations and gentle satire are brought to bear on the absurdities of the English abroad, and the frustrations of travelling in the nineteenth century. Julian Fellowes, President, Trollope Society said: ‘Anthony Trollope was a real Citizen of the World, to a surprising degree. Following in the footsteps of his intrepid, globe-trotting mother, he travelled almost everywhere, and wherever he went, he wrote’. Trollope’s mother, Fanny, was a best-selling novelist and travel-writer. Anthony followed in her footsteps writing 47 novels, many with an international theme. He wrote detailed travelogues on many of the countries that he visited, including North America, South Africa and New Zealand. Ahead of the conference, and to commemorate his global attraction, the Trollope Society has commissioned a new illustration by Jethro Syder-Spence of Trollope sitting astride the globe. Illustration by Jethro Syder-Spence. Hi-res file available. The Trollope Society exists to promote the reading, enjoyment and study of the works of Anthony Trollope. Julian Fellowes, The Rt. Hon. The Lord Fellowes of West Stafford DL, is the President of the Trollope Society. Trollope’s overseas novels: The Bertrams (Egypt, Palestine and England), John Caldigate (Australia, England), Harry Heathcote of Gangoil (Australia), The Golden Lion of Granpere (France), La Vendée (Historical novel set in 1790s France), Linda Tressel (Germany), Nina Balatka (Prague). Trollope’s international short stories: Tales of All Countries. Trollope’s non-fiction travelogues: Australia and New Zealand, New Zealand, North America, South America, South Africa, West Indies and the Spanish Main.